Dear Mrs. Hembree, Your costume is so awesome! I like that you chose to dress up as Babymouse! Very creative!! I wish I could see you dress up next year!! i love halloween and babymouse and i think it was a geat choice to pick babymouse for a costume! 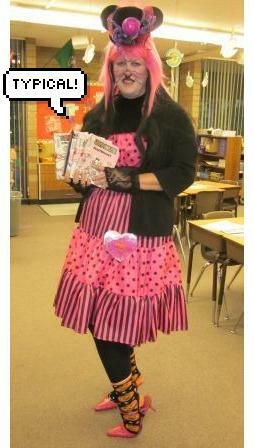 Dear,Ms.Hembree I love the new outfit.It’s way to pink!